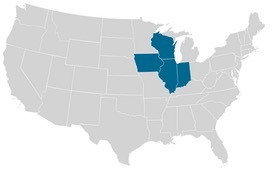 Alliance Technical Sales currently services customers in Illinois, Indiana, Iowa, and Wisconsin. Alliance is a trusted source for product information, application knowledge, and engineering support. Through hard work, technical excellence, and dedication, Alliance maintains an outstanding vendor reputation supported by close relationships with the area's top manufacturers.